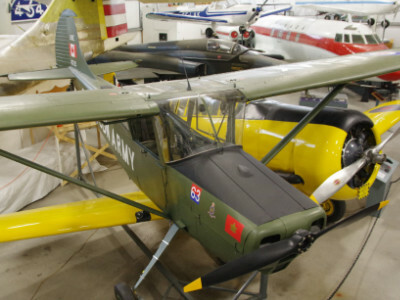 The L-19 Bird Dog, designed by Cessna, was built for the US Army as a light observation aircraft with deliveries starting in 1950. 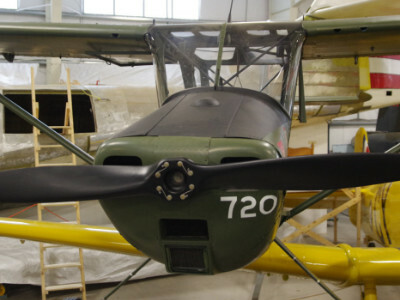 In Canadian Army service, the L-19 was used as a spotter plane for artillery targeting as well as other duties. 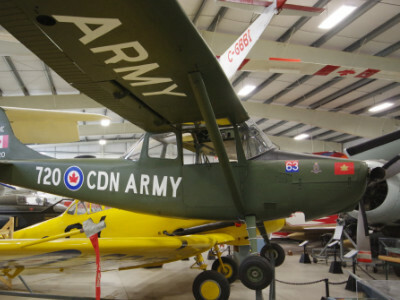 The Museum’s example, #720, was built in 1957 for the US Army and was transferred, along with 25 others, to the Canadian Army under a military assistance program. It is painted to represent 16720 as stationed at CFB Gagetown, New Brunswick in the 1970s.